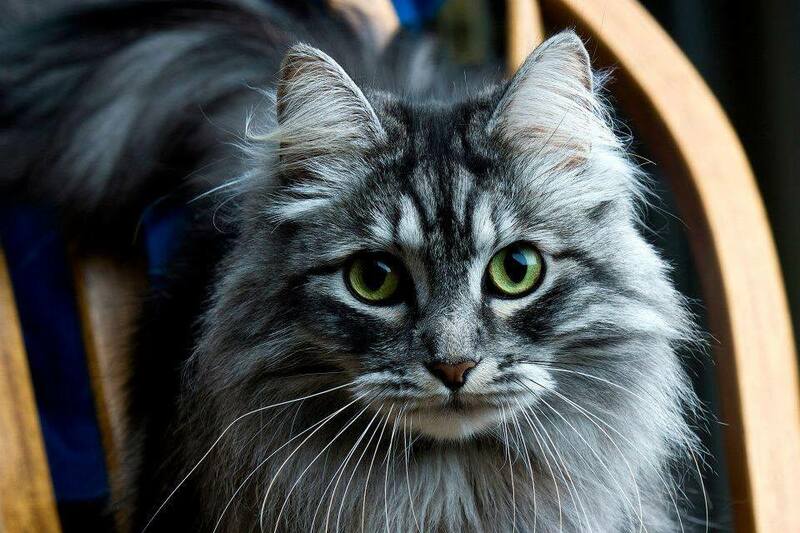 Love Those Siberian Cats Green Eyes ! Beautiful Rhys a green eyed Hypo-Allergenic blue mctabby Siberian male. 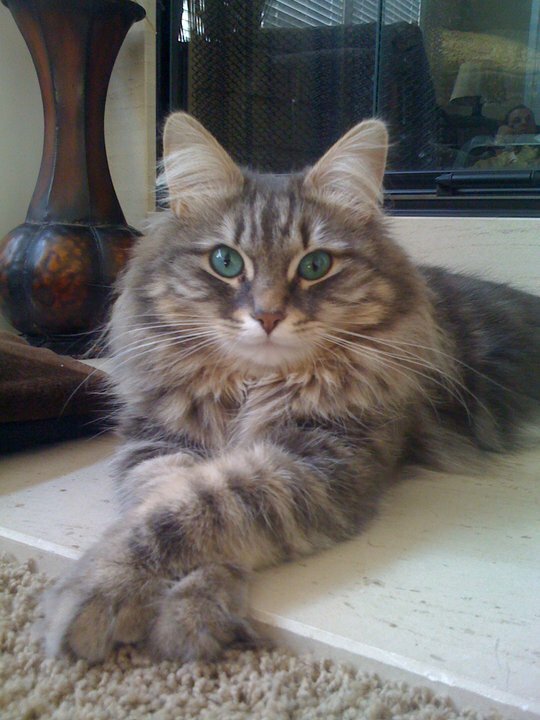 The blue mctabby male with his arms crossed is Bear another Siberian Cat. Also pictured is Sergei a blue and white Siberian cat. All of these Siberians are from Croshka Siberians. 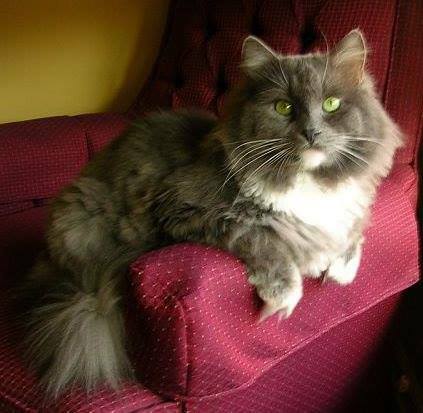 You Are Here: Home » Love Those Siberian Cats Green Eyes ! » What's New » Love Those Siberian Cats Green Eyes !